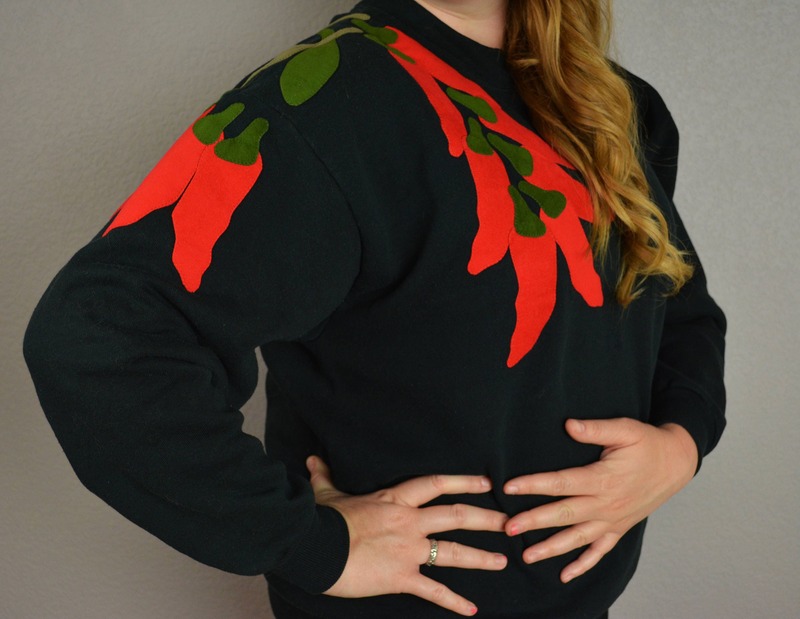 Cool and quirky 80s chili pepper sweatshirt. 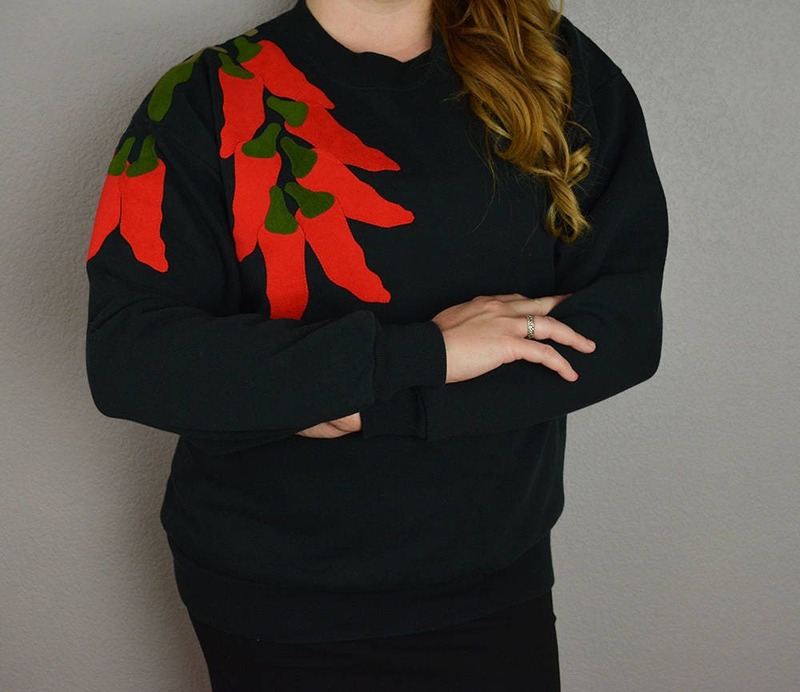 Since we are from the southwest we are totally digging the southwestern vibes this sweatshirt is giving us. Perfect for lounging or running errands or for a trip to the southwest! In excellent condition. There is a little bit of fading of the black but it still looks totally fab. 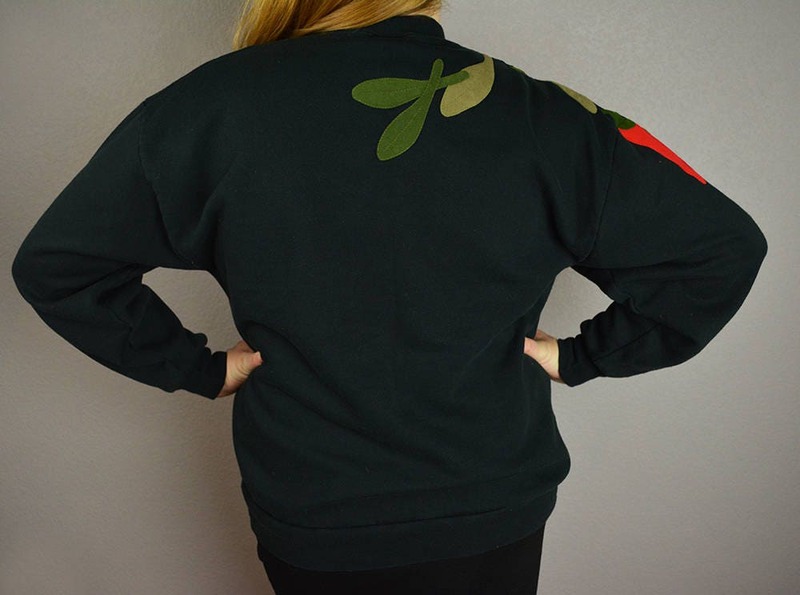 Fleece lined for max comfiness. Brand: I believe the tag says "Delores of Sedona"